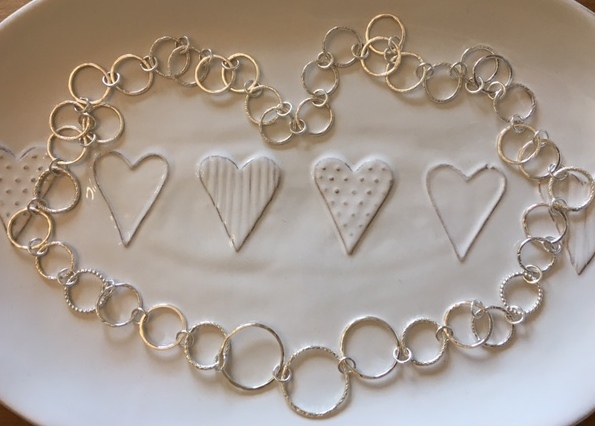 Approximately 40 handmade sterling silver circles joined together with silver jump rings mean this necklace hangs beautifully. Circles range from 1.6cms to 3cms diameter and all are either textured or patterned. The finished length is approximately 32 inches (82cms). The necklace is made to go over the head and does not have a fastening. Hallmarked by the London Assay Office with my makers mark. Gold circles are available at additional cost - please contact me for a quote.